The Games with Gold for April features two co-op titles for your gaming pleasure. On the Xbox One, you'll be able to pick up Sunset Overdrive while on the Xbox 360 you can snag Saint's Row IV. Both titles will be free for a limited period of time! 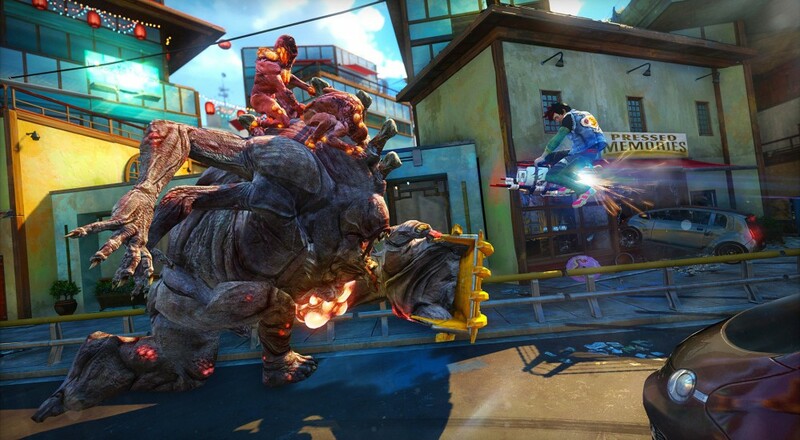 From April 16, 2016 to May 15, 2016, you can download the free-moving shooter Sunset Overdrive, which features an eight player co-op mode called "Chaos Squad." Then, from April 16, 2016 to April 30, 2016, you can download the insanity fueled Saint's Row IV, which allows up to two players to team up online and tackle the entirety of the game's campaign. So be sure to set a reminder on your calendar to pick up both titles next month.